Recently I saw a couple of young mockingbirds that had been pushed from the nest by their mother. They were on the ground and fluttering about attempting to fly. Mother was watching over them and even swooped down at me a couple of times when she felt I was too close. I was witness to how hard and cruel life can be. Those young birds have to figure out how to fly or become easy prey, and their mother can't help them. She's done everything she can for them. She built them a nest. She incubated them while they grew in their eggs. After they hatched she fed them when they were hungry, and protected them from the elements. Now, they have to fly, so she did what mother birds do and set them free. On the same morning my son turned eighteen - an adult. He got up, showered, got dressed, grabbed a bag he had packed the night before and headed to the Military Entrance Processing Station (MEPS) in Knoxville. The next day he was poked, prodded, measured, questioned, tested, and made to walk like a duck (look it up). After his ordeal was finished he signed a six year contract with the United States Air Force and is currently in the delayed entry program (DEP) awaiting his assignment. I feel a lot like that mother bird. I gave him a safe home. I fed him. I protected him. I taught him everything I could, but now, he has to fly - and on his own. My little bird grew to be a man, and I have to set him free. Tab Books! Come and Get 'em! 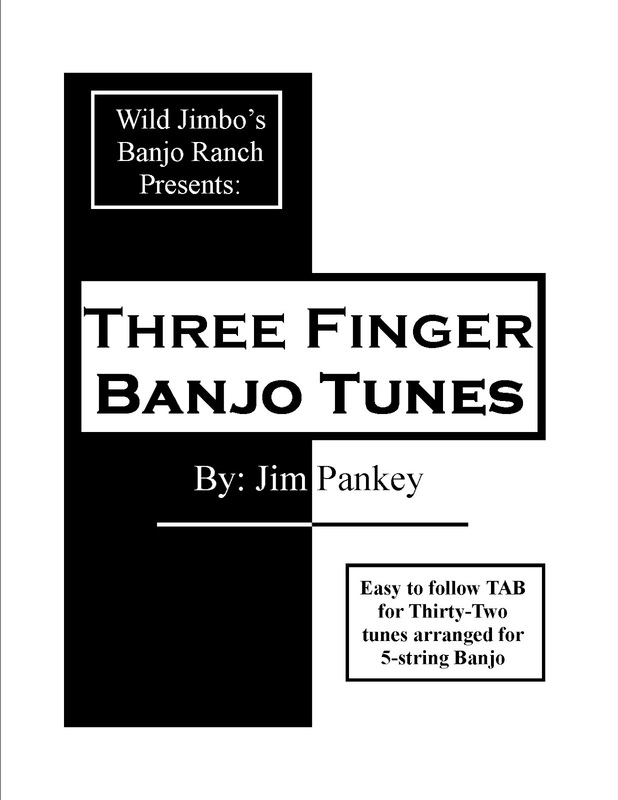 Over the years I've assembled a few tab books for bluegrass and old-time banjo. I've offered them as print copies for several years, but recently I've had requests for digital downloads. So, here's my official debut into the digital download market. My Musical Misadventures: My first tab book from the 1990s has a bunch of melodic tabs and a few guitar, mandolin and ukulele tabs. 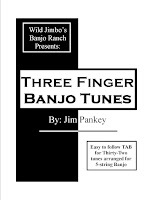 Three Finger Banjo Tunes: Thirty Two tunes in TAB for 3 finger Banjo. Tunes include: Ain't Gonna Work Tomorrow, Banjo Lounge Theme, Banjo Lounge, Breakdown, Banjo Signal, Barlow Knife, Bob the Builder, Bonanza Theme, Buffalo Brain, Can't Help Falling inLove, Coo Coo's Nest, Cora is Gone, Cotton Eyed Joe, Cripple Creek, El Cumbenchero, Footprints in the Snow, Frosty the Snowman , Heffalumps and Woozles, I Have Decided to Follow Jesus, I'll Fly Away, Jerusalem Ridge, Last Chance, Life's Railway to Heaven, Little Sadie, Okie Dokie #5, Rabbit in a Log (Key of G), Rabbit in a Log (Key of D), Red Haired Boy, Rose Connely, Sunny Side of the Mountain, Up On the Housetop, Watching Scotty Grow, You Win Again, and The Zipper. Clawhammer Banjo Tunes: 18 Tunes and Chord Charts for G Modal, Double C, and F Tuning. 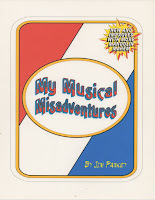 Includes the following tunes: Barlow Knife, Buttons and Bows, Cluck Old Hen, Cripple Creek, Last Chance, Leather Britches, Mississippi Sawyer, Old MollyHare, Old Joe Clark, Rock the Cradle Joe (2 variations), Sally Ann, Shortening Bread, Sleepy Eyed John, Soldiers Joy, Sandy River Belle ( 2 Variations), Sugar Hill, Wave the Ocean, and Way Lazy Hop. There's not much I've done right as a parent. Oh, I try, but there's so many things I know I could do better. There is one thing, however, I got right - that was signing up my son for Cub Scouts in 2006. Actually, truth be told, his mother signed him up. I was just the agreeable dad. I did, however, go to the first meeting. The boys started learning to play chess at that meeting while parents filled out applications. Samuel had a great time. Little did we know how much this adventure was going to change his life. He attended weekly Cub Scout meetings where he learned games, how to use a pocket knife, and even had his first camping trip (his mother camped with him). We built several pinewood derby cars and he built several other useful items like a toolbox, picture frame, ring toss game and a recipe holder for the kitchen. He learned a lot of other things too, like to always do his best at whatever it was he was doing. He learned to be responsible and even began to learn his duty to god and country. And this was all as a Cub Scout. 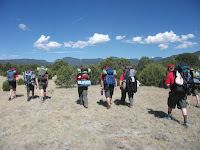 Once he was old enough to be a Boy Scout (middle school) he began to learn a lot of outdoor skills. He learned to use an ax, and learned to build a fire. He learned how to pack a backpack and how to pitch a tent. He learned how to make an emergency shelter and spent the night in it. He's survived extreme heat and extreme cold. He learned to cook and feed himself. He knows how to navigate with a map and compass and knows how to ford a river. He can tie more knots than a sailor and even knows when to use them. His first aid skills are admirable and he can find other people that might be lost. What I find most striking is the amount of confidence he has to do all of those things and more. He's done so much in scouting too. He climbed a mountain. He slept under the stars without a tent, sleeping bag, or shelter of any sort. He has hiked miles upon miles and backpacked to remote locations. He helped build bridges and trails. He has traveled to events where he represented his unit. He's taken on responsibility too by working for the council at summer camp and other events. He gives freely of his time to recruit and promote scouting and is always quick to volunteer. He works with younger scouts and dedicates a couple of days a week to work with Cub Scouts. That's just the tip of the iceberg. There's so much more that scouting has allow him to learn and experience. The merit badges he has earned are representative of over seventy career paths or life skills. There are just too many to list. Earning each rank in scouting took effort on his part and earning the Eagle rank helped him learn how to manage a big project. There were leadership classes and opportunities for him too (and more to come). Each of these classes and opportunities have helped mold him into a confident leader and problem solver. He has learned to be very prudent and balanced. So, while it looks like I'm bragging on my son (and maybe I am) I've written all of that to say this. As a parent, I can think of no better program to have my son in than Scouting. 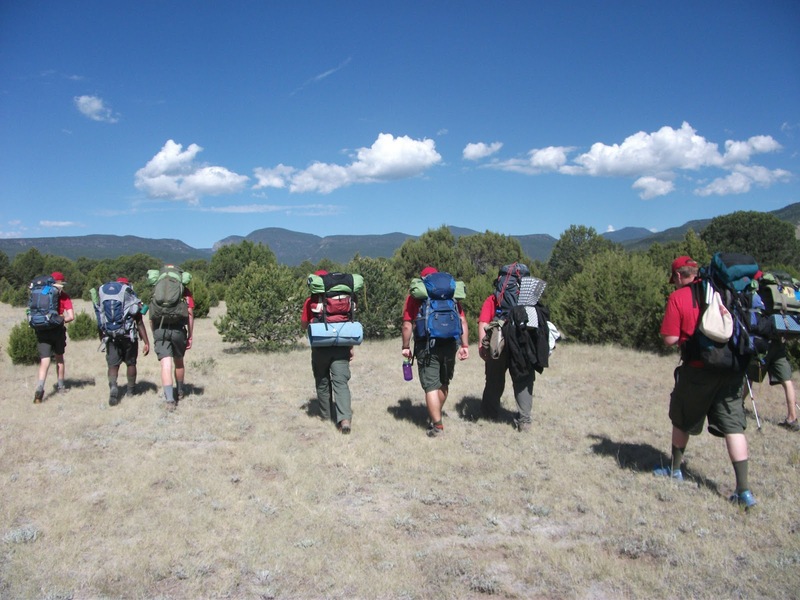 I can't imagine our life without Scouting. I'm always puzzled when other parents of young boys don't have their sons in Cub Scouts. Honestly, to me, it's important. I've watched my son grow from a timid kid into a confident young man willing to take on whatever the world throws at him. Wouldn't you want that for your son? I'm almost done, but before I sign off let's look at the Scout Law. A Scout is Trustworthy, Loyal, Helpful, Friendly, Courteous, Kind, Obedient, Cheerful, Thrifty, Brave, Clean, and Reverent. Wouldn't you like to be able to say that with your son's name at the beginning? Look, I'm not saying my son is all of those things all of the time, but he does try, and that goes back to the Cub Scout Motto which is "Do your best." Obviously, like any parent should be, I'm proud of my son. 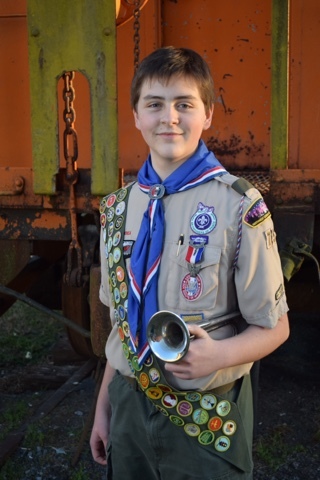 Last year was a big year for him in scouting; he began planning and working on his Eagle project early in the year and had his Eagle Ceremony in December. Samuel planned every moment of the ceremony, with the only exception of what I wanted to say, and my introduction of him. Here's what I had to say (with some minor edits to make it work for a weblog). I remember reading Boys’ Life Magazine when I was a Cub Scout. I would read those articles about older boys that did great things, and about boys that became Eagle Scouts. I knew, even at a young age, that I could never do those things. I could barely swim. I couldn’t remember any knots or what they were for (still can’t). I’m not sure where my focus was then, but if we could draw a Venn diagram of my interests I’m pretty confident scouting would have been on a separate sheet of paper. Even still, I often thought of those boys in the magazine. I didn’t know them, but I knew they were special. Even now, I think of those boys from time to time and wonder what became of them. They were real life heroes - not like heroes on television or in a comic book, but honest to goodness real life heroes that did good things and helped other people. I remember going to a scouting event once where there were other packs and troops. I saw boys in American Indian regalia, and I remember thinking it was awesome - and maybe just a bit scary. I was impressed (or perhaps intimidated). Those boys seemed really special in my young eyes. Now here we are - forty some odd years later. I read Boys’ Life online these days. I still see stories of boys achieving things which I could barely even dream. Those boys are still heroes - real heroes doing good things. I still admire, what I’ve since learned is, the Order of the Arrow - a Brotherhood of Cheerful Service. These boys are truly the best of the best. Someone said recently - describing these boys that they were like “Maverick and Goose” from the movie Top Gun. I’d say that’s a pretty good analogy. As his dad, it’s my wish that he’ll always, on his honor, do his best to do his duty to God and his country and to obey the scout law; to help other people at all times; and to keep himself physically strong, mentally awake, and morally straight. Samuel Pankey is: trustworthy, loyal, helpful, friendly, courteous, kind, obedient, cheerful, thrifty, brave, clean and reverent. My son, an Eagle Scout - a real life hero doing good things. You can't kill the old red rooster anymore. Don't do it. You can have chicken and dumplings, but there will be no killing of roosters. That's a lesson I learned this week. A friend asked me to speak at her elementary school's career day. I was more than happy to do it. I may not be the model independent music professional, but I guess I'm pretty enthusiastic about it. I like showing children (and adults) that you can be whatever you want. Doing something that makes you happy is worth more than a big salary for something you dread daily. My day started early - much earlier than most musicians, but duty called. I arrived in time to carry in a couple of banjos and stands, meet some folks, and get set up. I had a full slate. 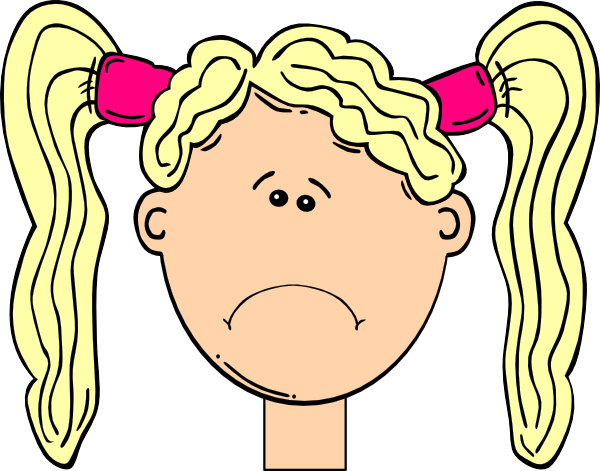 My day would be filled twenty minutes at a time with children from different grades (kindergarten through fifth grade). I braced myself for the first group. They were bright-eyed, inquisitive, and seemed to really like the banjo. I talked some about how I work and earn money. They asked questions, and I played them a few songs. Before I knew it I was out of time, and those children marched out and more marched in. After a few classes I was getting the hang of it. Wash, rinse, repeat. By the afternoon things couldn't be running smoother, until I had a class that was more interested in me playing than me talking. That's fine, and they were younger kids (maybe kindergarten or first grade). I asked them, "Do you know She'll Be Coming Around the Mountain?" They screamed, "YES!!!" I started the song. We will kill the old red rooster when she comes... Jaws hit the floor, eyes well up, and lips start to pout. Wait just a minute! Here I am, singing a song from my childhood where we killed that dad-gummed rooster every time - and with a big CHOP CHOP with hand motions! These kids though? They'll have none of it. You just can't kill that rooster - not in 2015. I immediately saw the error of my horrible rooster killing lyric. How could I not, with the cute little pony-tailed blonde with the cute glasses and the big eyes welling up and her bottom lip stuck out? 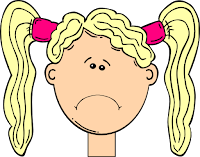 With the help of the teacher in the room we segued to a happier song - "The ABCs" - as best as I could recall there are no roosters killed in that one. Lesson learned: don't kill the rooster. My childhood was horrible and I never knew it. That's not all I learned. No, the next lesson came with the next group of kids. These were fifth graders - smart, with good questions. "When you first started playing for money, how much did you get paid?" A boy asked. "The first time I ever earned anything for playing was with the FFA Stringband in high school. We would play for different civic clubs (like the Lions Club, Kiwanis Club, etc) and in return they would give us a pig for our pig chain." I told them. "You got paid a pig?!?!" They all laughed. 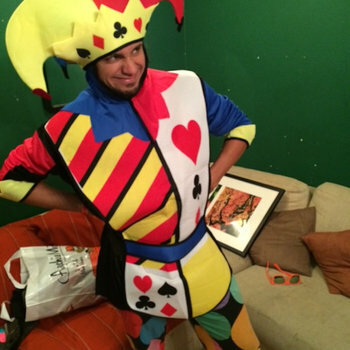 Once they were convinced I wasn't just being silly, they had another question. They inquired, "What did you do with the pigs?" For whatever reason, there's this bone in my head that often just makes me blurt out the truth. "We raised them and eventually ate them." No sooner than I had said it the lesson of the rooster popped into my brain. Not to mention the exclamation from the kids, "You ate them?!?! You ate your piggies?" Yes - yes we did. Being older kids I figured I would just go ahead and let them go on that remark as time was up. I started my last tune as they exited. As the kids were leaving one lagged behind to tell me that his dad raised pigs to eat, and even killed them. He didn't seem to mind. I was relieved. Time have changed. I'm not sure it's for the better. I saw kids eating meat at lunch, but I'm not sure they have any idea where it comes from. Except maybe for some of the more rural kids, they seemed to get it. As I reflected on my rooster horror I tried to see the kids faces again and I recalled that almost none of the Hispanic children had a problem with killing the old red rooster. We have a large Hispanic population here and a lot of these kids' parents immigrated here in the past decade, so maybe they're still pretty close to their cultures - whatever that might be. Maybe it's cultural? I'm not sure, and I'm not qualified to even guess. Hopefully no one will need therapy.